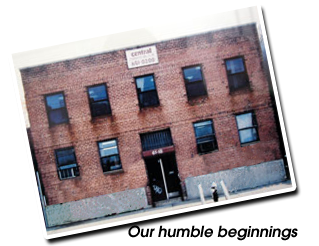 It all began in 1988 when All-Spec Static Control opened its doors in Queens, NY as a small company specializing in static control equipment and materials. As time marched on and we continued to grow, so did our product offering. 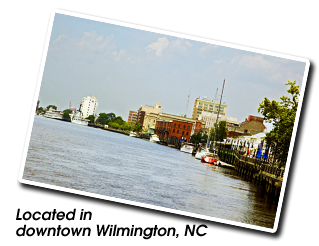 In 1996 we relocated to Wilmington, NC as All-Spec Industries, with a newly expanded facility, customer service staff, and a range of options for electronic service, repair, testing and more. All-Spec was acquired by Hisco in January 2014, bringing together a combined 65 years of industry experience, powerful services and a more extensive product range. And we're continuing to grow and expand as we strive to meet the evolving needs of your workers and your environment. We completed our latest renovations less than two years ago, overhauling the facility from the inside out with a facelift and an additional 12,000 square feet to the warehouse - providing us with more space to stock the brands you rely on each day. That's a total of 38,000 square feet used entirely to house product, and we've only just begun. With further expansions on the horizon, we’re creating the potential to increase our in-stock offerings. We regularly update our website features with real-time capabilities and content to deliver the most seamless possible shopping experience. In fact, it’s these resources that give us the ability to ship more than 97% of our orders the very day they’re placed. With our dedicated customer service team and experienced fulfillment group, we’re committed to proving that there truly is a difference in suppliers. We’ve devoted the past quarter century to winning your loyalty as we’ve worked to understand your day-to-day challenges. So while other websites may seem competitive, we’ve stood the test of time – you’ll never have to wonder if we’ll still be around tomorrow. In the end our business really is all about you, and we look forward to developing new ways to help you do your job more efficiently and effectively, over the next 25 years and beyond.